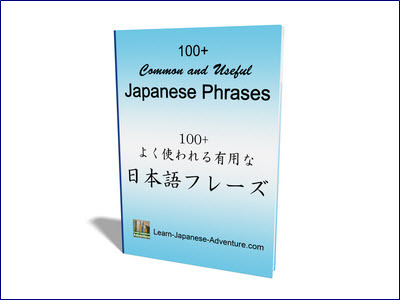 In this lesson, you will learn some new grammars making use of Japanese verb te-form. You have already learned how to change verbs from dictionary-form to te-form in the basic lessons and how te-form is used in some grammars. It emphasizes that the action denoted by the verb is a trial. Let's use some examples so that you can see how to use it. Meaning: I always try out the shirt before I buy it. Meaning: I tried out the new pen before I bought it. Meaning: I will (try to) think it over again. Meaning: May I try on this pair of shoes? Meaning: I would like to experience a world tour. Meaning: I would like to experience climbing Mount Fuji. Meaning: I want to see the earth from the space (to know how it looks). In the next grammar Verb1 is an action or condition which accompanies the action denoted by Verb2. 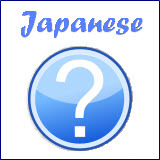 Take note that the second Japanese verb (Verb2) is the main action in the sentence. Meaning: I read book with my glasses on. 眼鏡をかけます (megane wo kakemasu) - to wear glasses. And with this condition remained (i.e. with my glasses on), I read book (doing another action). Meaning: I read book without my glasses on. 眼鏡をかけない (megane wo kakenai) - not to wear glasses. And with this condition remained (i.e. without my glasses on), I read book (doing another action). Look at the above two examples, whether the glasses is put on or not when the action 読みます takes place is stated. Verb1 and Verb2 are actions done by the same person. Meaning: I go to the office with my tie on. Meaning: I go to the office without my tie on. Meaning: I go to bed with the light off. Meaning: I go to bed without the light off. Meaning: I drink the coffee with sugar. Meaning: I drink the coffee without sugar. What is the Difference Between this Pattern and ～ながら (nagara)? In example 1, after putting on glasses, (with this state remained) you continue to read book. Whereas in example 2, you are putting on glasses and reading book at the same time. 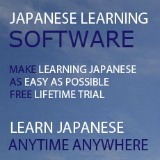 There is another meaning for the same sentence pattern Verb1 (ない-form)で Verb2. This pattern is used when the speaker indicates a course of action taken out of two alternative possibilities presented. Meaning: Next Sunday I won't go anywhere. I will rest at home instead. In this example, the speaker chooses to do one of the two actions (go somewhere and rest at home). Meaning: I go to the station without taking the bus. I ride the bicycle instead. Meaning: I don't buy the cake. I will make it myself instead.